Sometimes it helps to process information visually, rather than verbally. 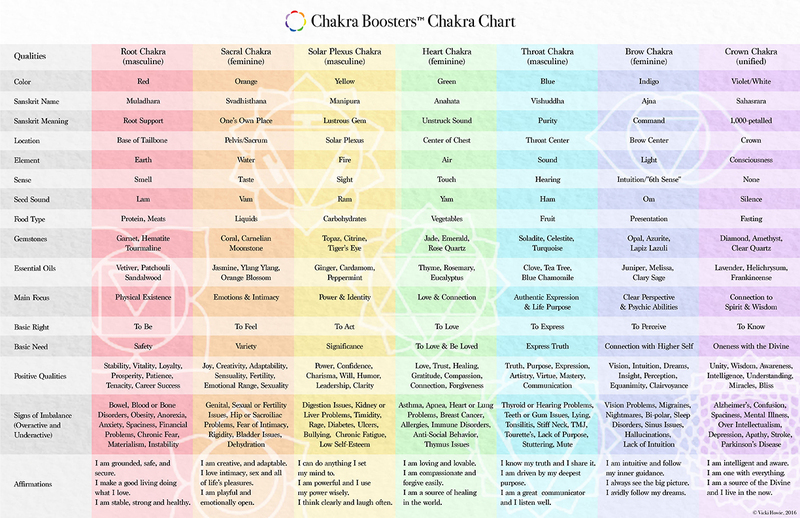 To help you do this with the chakras, we have created a beautiful, color-coded Chakra Chart displaying the different qualities of each chakra. You can find out everything from what food types, gems, and essential oils are related to each chakra to the color, element, location, and meaning of each one. We’ve even included chakra affirmations. The consultation will include a description of your destiny number and of the your most recent and upcoming chakra life cycles (as well as those of a partner — if time permits). You can get a Chakra Life Cycle Reading here.